Collagen canisters with flashy packaging hit the shelves at sports nutrition shops around the country and have recently been making their way into our favorite, most trusted health food stores. But what is collagen? How much do we know about collagen powder? Let’s look at the facts and tackle any fictions you might come across. FACT – Per the title, Collagen is the MVP of your body’s building system. According to the National Institutes of Health, collagen is defined as a fibrous protein found in cartilage and other connective tissue (1). This strong and fibrous protein is considered to be the most abundant protein in our body, accounting for approximately 25% of our total protein mass (1). Collagen is a highly effective structural protein and serves as the building block for the generation of skin, tendons & ligaments, joint tissue, and bones. Our bodies naturally make collagen, but their ability to produce it on their own diminishes over time, so supplementation can often be a good idea. FACT – Collagen Peptides are highly bioavailable. Collagen peptides are broken down to be highly soluble and easily digestible in the body. This means that they are readily able to catalyze the creation of new collagen fibers, providing support to our tissue structures. FACT – Warning: side effects may include a leaner, more beautiful you. Collagen peptides are used as dietary supplements to add protein for lean muscle growth and promote support for joints and bones + healthy aging. So, in addition to its benefits on muscle mass and function, collagen can reduce facial fine lines, wrinkles, and dry skin. Some studies suggest collagen stimulates blood circulation and supports blood vessels as they carry oxygen and other important nutrients to skin tissue (2). For these reasons, it is commonly used as a beauty aid to enhance the natural glow of skin, hair, and nails. FICTION – Collagen supplements are for everyone. This one bothers us. We’re not trying to start anything, but other brands flavor their collagen with fruit or plant flavors and market them to look as though they are plant based. This is highly misleading. Collagen powders are neither plant based or vegan (those on plant based diets simply must ingest key vitamins and minerals that also naturally encourage collagen production). ProMix’s collagen protein comes from grass fed, pasture-raised cows or from wild caught Norwegian cod, and even comes in varieties enhanced with BCAAs to support muscle recovery and MCTs to aid cognitive function and serve as an energy source for your brain (3). FICTION – All collagen is created equal. We highly recommend only consuming collagens that have been tested and verified by third party laboratories. Confirmed quality and purity from an objective source is critical with all dietary supplements. FICTION – Collagen doesn’t mix well and is clumpy and gross. Sure, maybe some collagens. However, our RD went the extra mile to make sure our collagen powders mix instantly into both hot and cold substances and are easily digestible + nourish gut health. 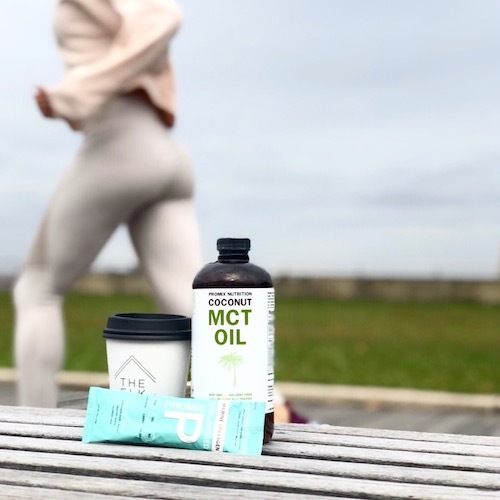 Our collagens are one of our most versatile products: we use it in tons of recipes and our ProMix Athletes are obsessed with Lean Energy Coffee that also utilizes the benefits of ProMix MCT Oil. So if collagen is right for you, take a look! We created a line of collagen peptides to fit the specific needs of every athlete. Our traditional bovine collagen comes unflavored & in chocolate, sprinkled with organic, fair-trade cocoa for a naturally light, sweet taste. 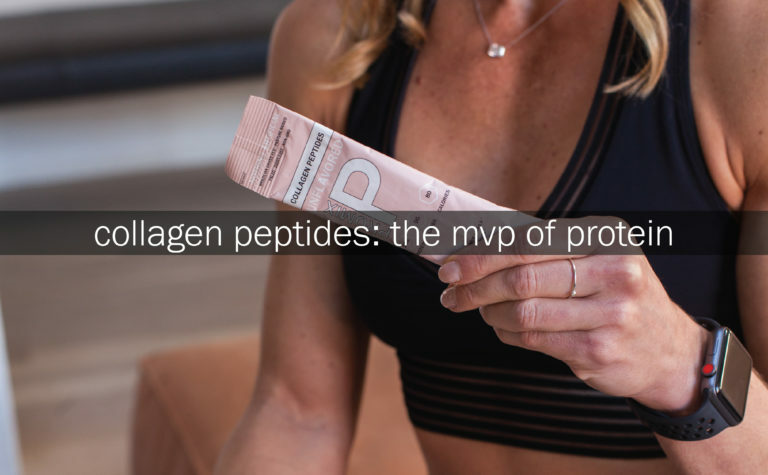 We also concocted Optimal Chocolate Collagen Peptides to help those on strength training programs boost their BCAA intake to enhance muscle regeneration and accelerate recovery (read all about the benefits of BCAAs). Creamy Coconut Collagen is a fantastic coffee creamer and smoothie thickener with added MCTs to boost cognitive function and satiety, and for our pescatarian athletes, we’ve made sure to offer a flavorless Marine option. Low in fat with 10-21 grams of protein per serving, any of these options will help you hit your daily macros and feel good. Never tackle a day with your body’s MVP! If you have any questions regarding our collagen peptides and how to use them, visit our FAQs page, or feel free to email us at sales@promixnutrition.com. 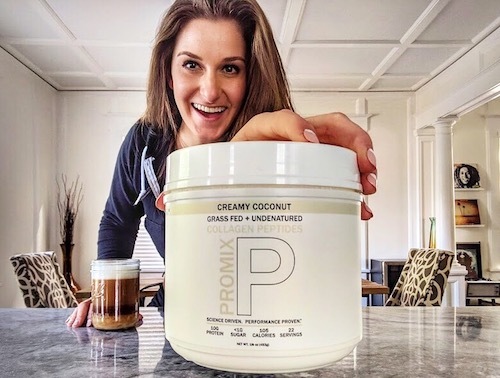 Be sure to follow ProMix Nutrition on instagram for the most up-to-date announcements and more posts to inspire you! (1) Collagen – National Library of Medicine. PubMed Health Website. http://www.ncbi.nlm.nih.gov/pubmedhealth/PMHT0022811/. Accessed Jan 2018. (2) Schwartz SR, Park J. Ingestion of BioCell Collagen, a novel hydrolyzed chicken sternal cartilage extract; enhanced blood microcirculation and reduced facial aging signs. Clinical interventions in aging. 2012; 7:267. (3) Medium Chain Triglycerides & Your Brain. Cognitive Vitality Website. https://www.alzdiscovery.org/ cognitive-vitality/ratings/medium-chain-triglycerides. January 2018.